You are going to Watch Naruto Shippuden Episode 87 English dubbed online free episodes with HQ / high quality. Stream Anime Naruto Shippuden Episode 87 Online English dub When You Curse Someone, You Dig Your Own Grave. Sakura and Sai leave to help Shikamaru. Hidan attempts to break out of Shikamaru’s weakened Shadow Possession Jutsu on him, but Shikamaru pulls the explosive tags onto Hidan’s body. 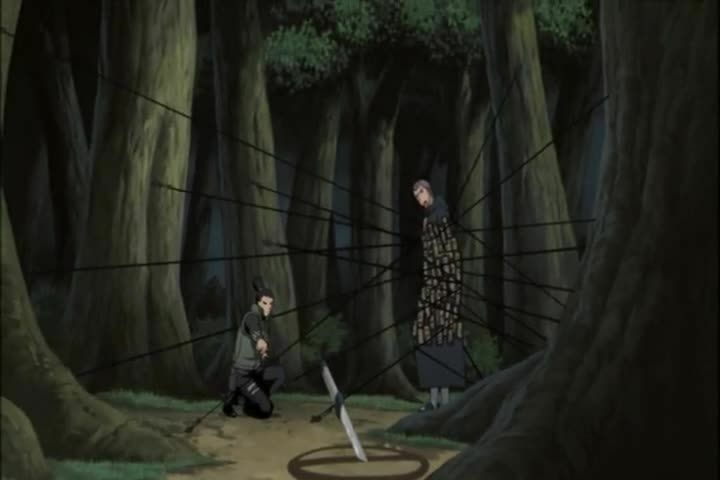 Shikamaru then opens a trap hole that he had prepared, and reveals his plan to bury Hidan beneath the Nara family woods. He has a vision of Asuma entrusting his “will of fire” to him, and then throws his lighter to ignite the tags on Hidan, which explode and dismember the latter. Meanwhile, Naruto prepares the new Jutsu that he had been developing, Wind Style: Rasen Shuriken.